After almost 9 years of successes Flamenco Metronome, the tool that revolutionized the practice and teaching of flamenco, now comes version 3.0. MFSSv3 meets all the features of the previous version, but is smaller and powerful. With full-color touch screen, its handling is even more simple and intuitive. It is fully compatible with software MFSS_PROF ACOMPAS_MFSS and both versions for Mac and Windows. Take now the whole compass in the palm of your hand. All the richness of Brazilian rhythms and timbre of their instruments together in this application. Bai�o, Batucada Mangueira, Batucada Padre Miguel, Bossa Nova, Candombl� Barra Vento, Candombl� Cabula, Candombl� Congo, Candombl� Ijex�, Capoeira Angola, Capoeira S�o Bento Pequeno, Capoeira Tico-Tico, C�co, Frevo 1, Frevo 2, Funk Jequibau, Maracat�, Samba en 3, Samba en 7, Samba Funk, Samba Jequibau, Samba Pagode, Samba Partido Alto, Samba Reage, Timbalada, Xaxado and Xote. Features 32 tracks with individually control of pan, volume, mute and solo for each track to generate awesome stereo sound. Choose the exact speed from 20-400 BPM. Accelerates or slows gradually. You will see on your screen the beat where you are at all times, and accented distinguishing to normal times. Combine the sound of a metronome with programmable time-hit, two, three, four, five or check only the accented beats. Select the metronome sound from a list with 210 sounds and mix it with percussion at the level you want. Connect it to your computer via WIFI through Brazilian Beats application for Windows. You can compose new rhythms and send them to the application. Connect to your Hi-Fi for maximum quality. Displays the score of each track. With this application you can learn to play or you can serve percussion accompainment to play other instruments.. The brilliant guitarist Javier Conde plays for us one of his last compositions, a sole� por buler�as dedicated to his father. This application is much more than just a metronome, is a flamenco drum machine with stereo sound and high quality percussion instruments. When you play the guitar, sing or dance, you feel like you really percussionists accompany a perfect compass. All Flamenco palos in three difficulty levels: Low, Medium or High. Metronome classic with compasses from 1 to 12 beats and combinations of different accents. You will see on your screen the beat you are at all times, and accented distinguishing to normal times. Combine the sound of a metronome with programmable time-hit, two, three, four, five or check only the accented beats. Select the metronome sound from the list of 35 instruments and mix it with percussion at the level you want. Connect it to your computer via WIFI through MFSS_PROF application for Windows or Mac OSX. You can compose new rhythms and send them to the application. SOFTWARE FOR WINDOWS AND MAC OSX MFSS_PROF. Sevilla Soft, still betting on the development and application of new technologies for teaching and dissemination of flamenco, has been named as Intangible Cultural Heritage of Humanity. They have created a powerful Windows and Mac OsX software to be added for free to the two models of flamenco metronome, MFSS and MFSSv2. On the download page you will find the installer program. For all those who already know the program ACOMPAS_MFSS, we can say that the new software called MFSS_PROF has the same philosophy of performance but improves the quality in all aspects and we can import the files made with ACOMPAS_MFSS. -Play alone or with percussion. -Use nut to adjust the pitch to sing. -Use different styles rhythmic templates. -Tune different (as in Ronde�a). ACOMPAS_MFSS is limited to the processing capabilities and memory of Flamenco Metronome (track number 8, number of instruments 16, 22050 Hz sampling frequency, the sound intensities of 0 to 3, etc. ..), because it was designed to update the Flamenco Metronome and upload it our own songs and rhythmic formulas. Here's an example. �mpetu of Mario Escudero on the virtual flamenco guitar. 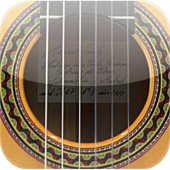 From an imported MIDI file, the program generates the tablature for guitar and is mounted over a buler�as compass. New versions of Flamenco Metronome, MFSS and MFSSv2 incorporate a new firmware that allows easy installation without drivers on any version of Windows, including the current Windows 8. MFSS _PROF for Mac OsX available for all Flamenco Metronome users, you can get it from Downloads page. The full version of Flamenco Metronome MFSS consists of two parts: one is a small device with graphic display, keyboard and USB connection that operates completely independently, and the other is a program that runs under Windows XP/VISTA/7/8 or Mac OSX 10.5 and later. CDROM with manuals. Software: ACOMPAS_MFSS and MFSS_PROF for Windows and ACOMPAS_MFSS and MFSS _PROF for Mac OSX. Warranty, installation instructions and Quick Start Guide. Power supply of 5 VDC. MFSS v2 software only version is the program for Windows or Mac and a USB key that allows the use of it. Both models now includes the new software MFSS _PROF. USB key to use the software. Buy MFSS v2 just software. To practice, learn, teach compass. All flamenco palos preprogrammed with several variants of each measure, closings, foreclosures, called ... Program a topic flamenco metronome and accompany you while you play. Accelerates or slows down progressively. Feel the beat. Metronome and Digital Chromatic Tuner programmed with all flamenco palos. 8 tracks to compose your own formulas and songs. Select speed : from� 20 to� 400 BPM. Progressively speed up or slow down. Your screen will inform you at all times as to the tempo. 12 light indicators in the shape of a clock indicate accented notes ( green light: NORMAL TEMPO; red light: ACCENTUATED TEMPO. You will feel as though you are being accompainied by genuine palmeros or percussionists with swing and flamenco soniquete. Combine the sound of a conventional metronome, programable with rests, minims, crotchets, quavers,� triplets, etc. Conect it to your PC or Mac to programme, compose new rhythms, practice� and send the information to the Flamenco Metronome. Built in loudspeaker and headphone outlet enable you to carry it around with you or connect it to your Hi-Fi equipment for maximum quality.